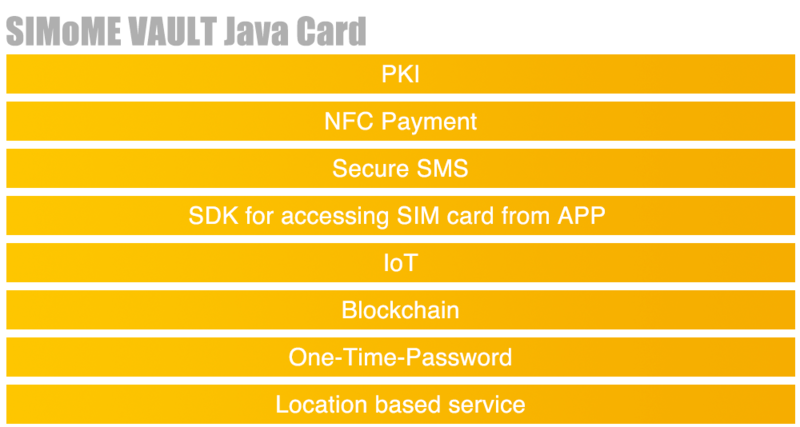 The SIMoME® Java Card technology provides a secure and interoperable execution platform that can store and update multiple applications on a single device. Traditionally, card applications are developed by card manufacturers, in which the development and implementation process can be complex and slow. The versatility of SIMoME® Java cards make it possible for non-card merchants, businesses or individuals alike, to develop applications and extend services on the phone. 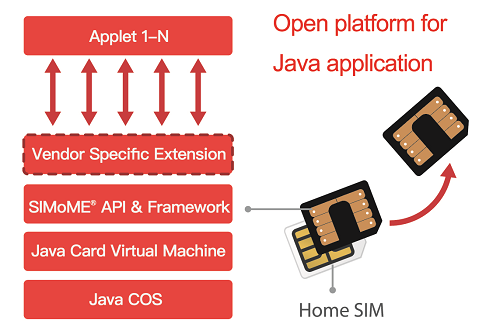 SIMoME® Java cards are compatible with Mini, Micro, and Nano SIM card form factors. With SIMoME® Java Card, native functions and features can be written as applets and updated later via over-the-air (OTA) method. Another method is via the internet (OTI). This reduces development and operational costs, increases product differentiation for the providers, and enhances value to customers. The exclusive SIMoME ® API is not only used for application development, but also has the ability to communicate with the existing SIM card beneath it, opens up brand new opportunities for providers to extend their services securely and conveniently on the mobile phone that were previously difficult to achieve. Government –Citizen identification, access public e-services, conducting transactions of services. Enterprise – Workforce Identity & Access Management for accessing the internal resource such as VPN, mail server, database, personnel record, operational systems. Crypto Community – Cryptocurrency hardware wallet. Bank – Secure account access and transaction authorization. Telecom – Soft churn subscribers of another MNO with competitive rate plans. Content Provider – Digital Rights Management for customer access of multimedia and content. 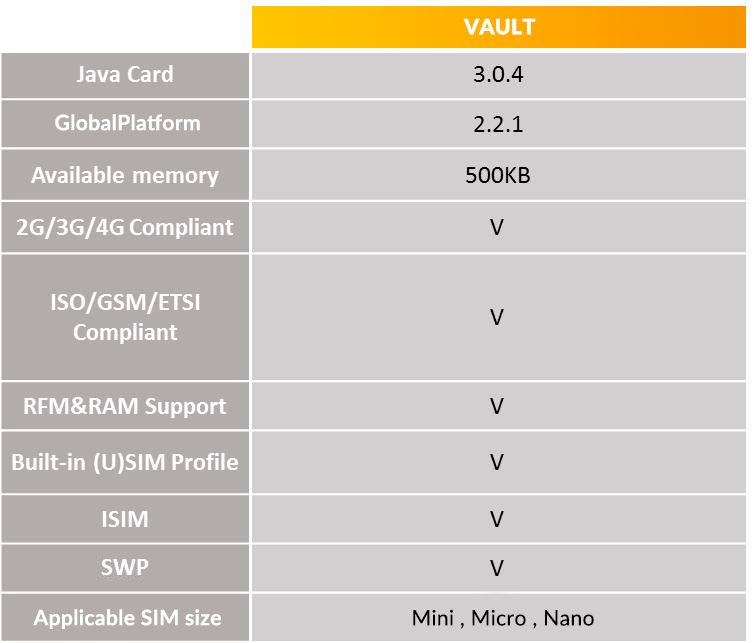 SIMoME® VAULT Java Card for developers, a Java Card based on GlobalPlatform that supports SWP and 500K available memory.